There are many credit cards that offer travel rewards. This could be a huge benefit, especially if you travel a lot for business. But how do you know which one is the right one for you and which one will give you the most bang for your buck? The options are virtually endless. There are three types of reward programs that you can benefit from through travel credit cards. Some simply offer straight cash back options where you get a percentage of cash rewards per dollar spent. Co-branded credit cards offer rewards points for staying at specific hotels and flying specific airlines. Other cards allow point transfers to a wide variety of airlines and hotels that participate. 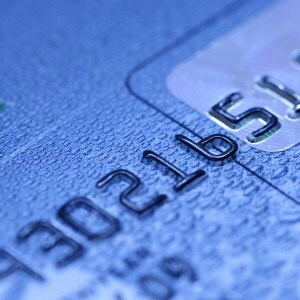 To help you make a more informed decision, here are some things to consider when deciding on your travel credit card. Frequent flyer miles are always a great perk for the travel warrior. However, you have to decide what you want to get out of a credit card and what will work best for your travel situation. Do you want cash back, free hotel stays, free first class travel upgrades or all three? Your needs should guide you in making the decision of which cards are right for you. Does your card offer a sign-on bonus? Some credit cards will give you a huge point’s bonus for signing on. You just need to do some homework as most travel credit cards do have an annual fee. You may want to weigh out your cash back or bonus point potential vs. your annual credit card fee. If your fee is more than you anticipate to earn, then you should consider an alternative credit card option or go with a credit card that does not have an annual fee. Cards that do not have an annual fee have less perks, but you can always upgrade if you plan on having more activity on your card. Can you get points just for shopping? Most travel credit cards offer points just for shopping at places your already shop and for things you already need. The cards will give you a special online portal that will direct you to the retailer’s site where you earn your points. Some cards may give you up to 10 points per dollar in addition to the points you will get for using your credit card. It’s a double dip that you can’t miss out on. You are able to use any coupons you have as well. This perk is a win-win. You may want to keep more than one travel card as not all travel reward credit cards offer the same perks. If you have several different needs, then you may need to have more than one travel card to get everything you want. For example, if you eat out every night, you may want to use the credit card that gives you the most points for dining at restaurants. If you prefer to have travel upgrades to first class, then you should go with a card that gives you the most on travel upgrades.